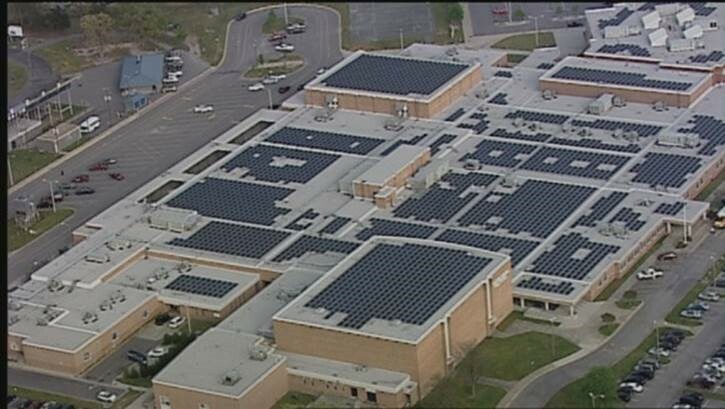 A solar energy system consisting of 3,000 solar panels was installed on the roof of Western Branch High School in Chesapeake, VA. It is currently the largest roof mounted photovoltaic system in Virginia. Master Engineers And Designers performed an evaluation to determine if the existing roof structures were adequate to support the additional load from the solar panels. This evaluation included an analysis of long span trusses that support the roof over the auditorium and gymnasium. Click here to read a news story about the ribbon cutting ceremony of this system.